From Agriculture, to fisheries, to tourism, to the mining sector and even a greater proportion of the commodity trade, an overwhelming majority of Ugandans depend on natural resources for survival . The country’s high level of dependence on nature has been a double edged sword. While the favourable natural environment has provided an easy means of livelihood for millions of people, excessive dependence on nature has come with its dangers such as over-exploitation, degradation which has exposed vulnerable populations to natural hazards such as floods and diseases. The Parliamentary Committee on Natural Resources is one of the key oversight committees for the sector. Its mandate is to cover the two ministries of Water and Environment as well as that of Energy and Mineral Development. 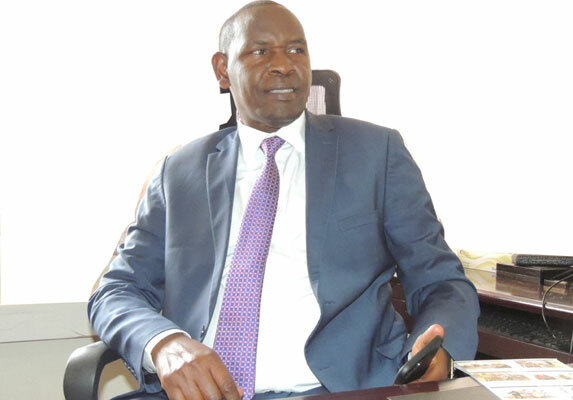 The Sunrise’s Solomon Lubambula spoke with the outgoing Chairperson of the Committee (CNR) and Isingiro South Member of Parliament (MP) Alex Bakunda Byarugaba on the achievements recorded during his two-year tenure. Below are excerpts. Question: What were the achievements for the CNR under your leadership? Answer: There were many accomplishments, but there were challenges too. For instance, in the up-coming new energy sector which involves oil and gas, we tried to get acquainted with what is happening. The laws are already in place, so we were just acclimatizing ourselves with it. In our environment beat, we achieved a lot. We stopped the menace of sand mining in wetlands and in the lake. Everybody is now aware of the danger of sand mining in those areas which are environmentally vulnerable. We also ensured that those people who had encroached on wetlands are removed. We achieved this by closely working with NEMA – the National Environmental Management Authority. The Committee made a tremendous input in as far as Karuma-Isimba Hydro Dam constructions is concerned. We showed the public that there was a problem. But most importantly, we enacted a law on Bio-fuels, but our time ended before we could present the report to the plenary to have it put on the Order Paper. We also looked into the mining sector. This has a lot of problems, especially the menace of the gold artisanal mining in Mubende area. We accomplished that one by working with the Police and the ministry. We did a lot of supervision and monitoring of the problem of air pollution in the Lugazi sugar factory and managed to rectify it. The stench has so far affected the people of Lugazi that they were no longer working in the mornings and at night. We lobbied and got some extra five billion shillings to facilitate the National Forestry Authority (NFA) to produce seedlings for the re-greening Uganda initiative. This is to strictly facilitate tree-planting all over the country. But we need to increase this to UGX30 billion shillings per year, because we want everybody, all institutions, school children, the military, Police, Prisons; to get involved in the campaign of re-greening Uganda. Earlier, we got money for the Service Coverage Acceleration Project (SCAP). SCAP is a National Water and Sewerage Corporation [NWSC] strategic aspiration of achieving 100% coverage for the people. My Isingiro Constituency is one of the most water-stressed districts in the country, We were able to get some loan from the World Bank working with the Nile Basin Initiative (NBI). They are starting to irrigate the entire Kabuyanda Valley which will cost UGX36bn. A 140m Euro loan which we were pursuing from the French Development Agency will sort out the problem of water scarcity once and for all in Isingiro District and neighboring Mbarara Municipality and its environs. We did not do much as expected but a lot was achieved. Q: What did you leave pending? A: I wish I had finished the NEMA Act. I did not get the opportunity to put it on the Order Paper of Parliament. I hope the new chairperson of the Committee [Kiboga East MP Kiwanuka Keefa] will present that report. Fortunately, he was my vice chairperson, so the issue of continuity and institutional memory is alive since we were doing everything as a team. Q: How did your Committee impact on the Operations of the Relevant Government agencies and Departments? A: Our work impacted these bodies. For instance NEMA; By the time we came, it had an issue of staffing, with only about 50 staff in the whole country and were spread very thin on the ground. We got them about four billion shillings for recruitment of new staff. That was a big achievement. The Meteorological Authority, which had just started had no salaries for its staff; we got money from Government, and now they are running smoothly. Q: What is your take on the argument that the Executive rarely implements the recommendations of the Committee reports? A: It is a very unfortunate situation. In Isimba and Karuma, they were still constructing but the structure had developed huge dangerous cracks. We exposed it, made a report, met the President and even followed it with another report. Actually there is also another report. The [Engineer] Badru Kiggundu Committee came about because of our discovery of the shoddy works. The cracks were structural, and so on. Some remedial work has been done. The committee has been constantly monitoring other power-generation infrastructure and mini-hydros. Q: What happened to the ban on the sell of polythene bags? A: That is part and parcel of the new NEMA law we have worked on. Section 82 will cover that one. There was a recommendation from Government that every polythene manufacturer should have a recycling plant as a part. Another view was that the black carrier bags are a menace and should be banned. It is a popular stand and we wait to see what comes out in the plenary session. Q: Would you consider the failure to enforce the polythene ban, as the low point of the Committee? A: Yeah, for sure. We were still haggling with that section of the law as to whether it remains under the Ministry or should be under the President’s office. He has direct powers over what takes place in the environment because without protecting the environment we are not bound to do much; even these big projects can do nothing. Q: What should be the priority for the new chairperson? A: The NEMA Bill; and I am sure the Speaker will give an opportunity to the Committee to present that report because we have already done it. Presenting the report would be the first priority. Q: What is the way forward for the sector’s development? A: The sector is very important; it concerns the future of our people, the creation of jobs in as far as power generation is concerned; power tariffs are still high and competitive. We need to ensure that everybody accesses reliable and also affordable power. The generation is doing well but the transmission is not, that is where government needs to come in. I was very happy to learnthat the Indian Prime Minister, Narendra Modi promised during his recent visit to offer some support in this area. It is very critical because, the moment we generate this power and then it is not consumed, we will be paying for what we are not consuming. 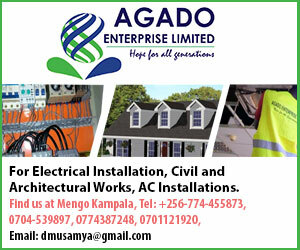 The more we are on the grid the cheaper the power tariffs will be; so we need to emphasize that.